It’s time to have a full of healthy and nutrient body! 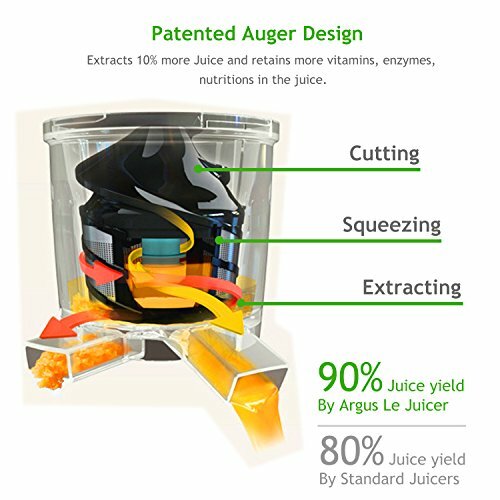 Argus Le slow juicer is preserving more vitamins and enzymes for naturally nutritious, delicious fruits and vegatables juice, frozen treats and more. 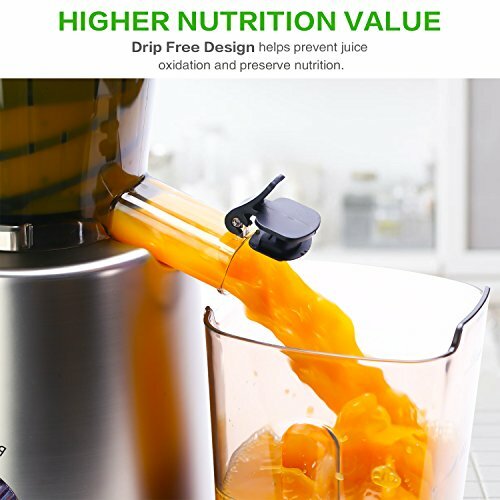 ◆ HIGHER YIELD SYSTEM & BETTER TASTE — Patented squeezing auger is designed to that cutting, squeezing and extracting are all in one part, it retains more vitamins, enzymes, nutrition in the juice. 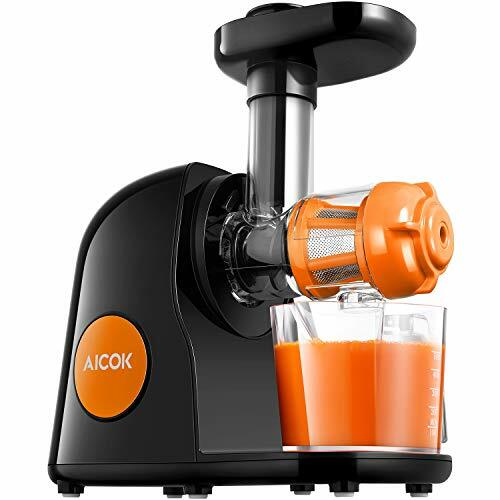 You can enjoy a supple mouthfeel that other juicer will never have. 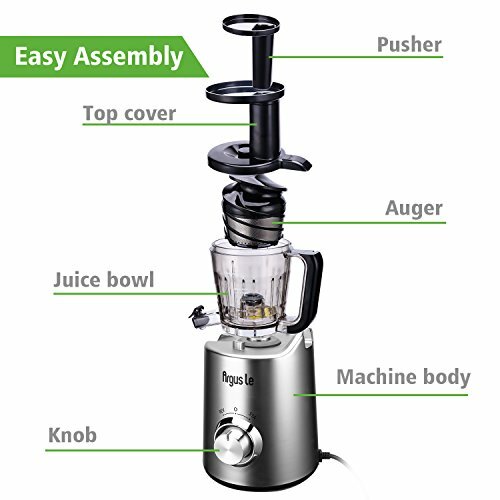 ◆ EASY TO ASSEMBLE AND CLEAN — Unique sleek design, easily disassembling and cleaning in 3 mins only! You can always incorporate healthy juices into your daily morning, dining and party. Included a cleaning brush to make cleaning a breeze! 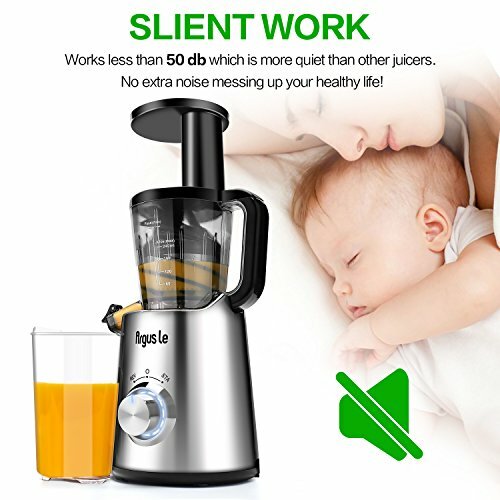 ◆ QUIET & MORE DURABLE MOTOR — The masticating juicer runs less than 60 decibels, lower noise compared to centrifugal juicers, no disturbing to your healthy life. Peculiar Delayed Start System helps protect the motor from improper use. High torque motor comes with overheat protection, it assures lasting quality and performance. 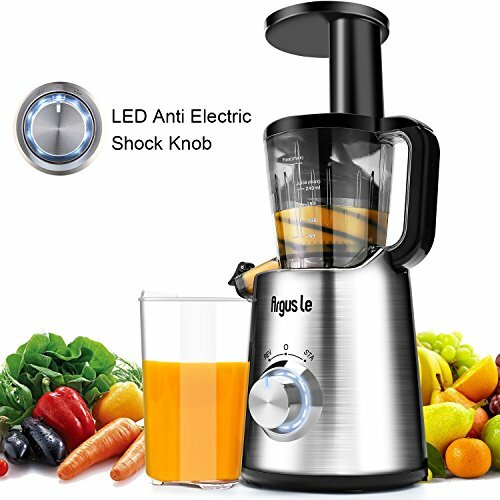 ◆ MULTI – FUNCTIONAL — Our cold press juicer can do various of produces such as celery, carrot, kale, wheat grass, leafy greens, apples, oranges, etc. 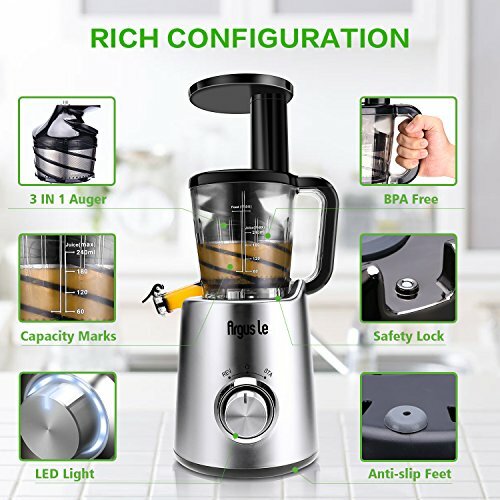 All these functions make this product a versatile machine that is worth investing in for your healthy life. 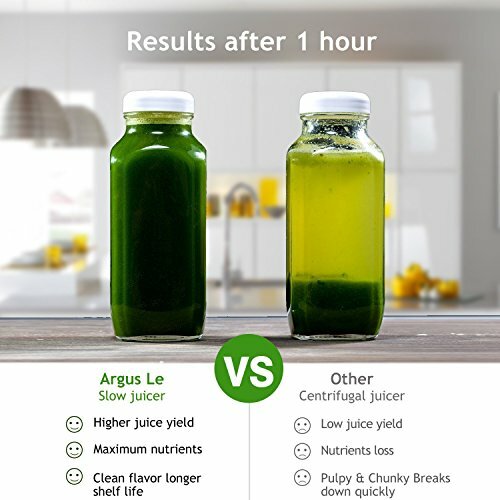 ◆ QUALITY GUARANTEE — Our slow juicer is backed up by 30 days free-trial. Motor is backed up by 5 years warranty, other parts are backed by 2 years warranty. 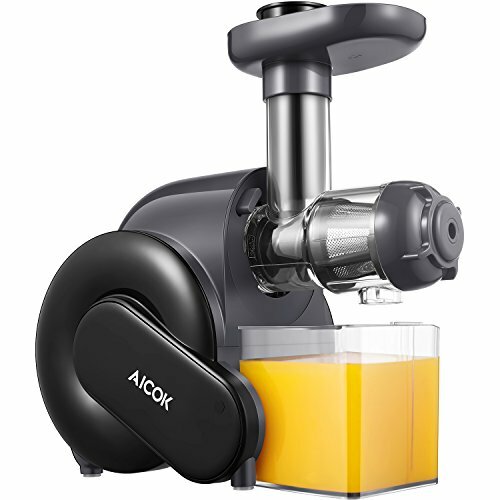 Note: If the juice bowl is shaking while juicing, it would shake because of its handy design and it doesn’t do any bad influence on the juicer. Please feel safe to use it.